Coincidentally, right after I booked my tickets, I received an invitation to a Canon Malaysia event which introduces me to a really cute trend called Nui-Dori or more known as toy travel. I knew that people sometimes bring their toys or plushies to travel (and snap insta-worthy pictures of it) but never realise that it's such a big thing! So, of course, I went all 'OMGGG' after finding out. I mean, what a perfect timing right? I am so going to bring my plushie on my trip soon! The art of Nui-Dori require two things, which are the toy and of course an amazing travel camera. 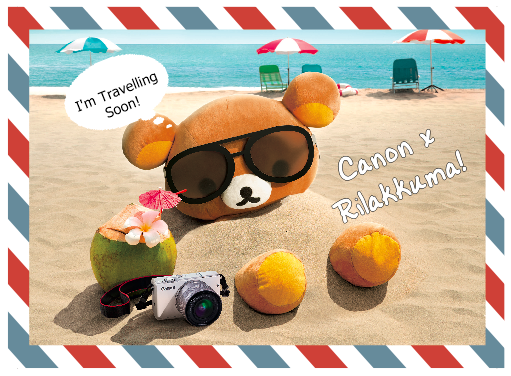 With this idea in mind, Canon partnered up with Rilakkuma (yes, that adorable teddy brand from Japan) to bring their fans the ultimate travel companion. For a limited time, with the purchase of the special edition Canon EOS M10 box set, you will also receive the original limited edition 24cm Rilakkuma plush toy. Isn't it such a pleasant idea?! Basically, it's taking pictures of your toy imitating life. Eating breakfast at a cool cafe, chilling at the beach, packing for next journey and etc. The idea is limitless and you can sort of just go with the feel. As long as you have a perfect travel camera (pssttt..Canon EOS M10), toy travelling would be a fun addition to your holiday itinerary. Canon EOS M10 is the newest, most compact and lightweight edition of the Canon EOS M high-performance mirrorless interchangeable lens camera range, so it's just perfect to bring everywhere. It has a large 18.0 megapixel APS-C sensor and fast hybrid CMOS AF II system so users can capture excellent quality of photos during spontaneous moment! It's also perfect for selfie (which is a must nowadays). With it's Self Portrait mode, flawless smooth skin is just one click away! Social sharing is also easy with Canon EOS M10 as it have the build in wireless (Wi-Fi) feature will enable user to share easily on multiple social media channels. Falling in love with camera but short on fund? Then you must not miss out Canon #ToyTravel Photo Challenge! Because all you have to do is participate in all 3 theme challenges from Canon and you might stand a chance to win an EOS M10 and a Rilakkuma!! I already fell in love with both of them so I am totally joining! First theme is Food and its now extended until 8th July 2016; they also just announced the second theme which is Favourite Chillout Activity! Hmm I wonder what is the third theme? 1. Take your toy travel picture according to the theme. 3. Set the post to public. 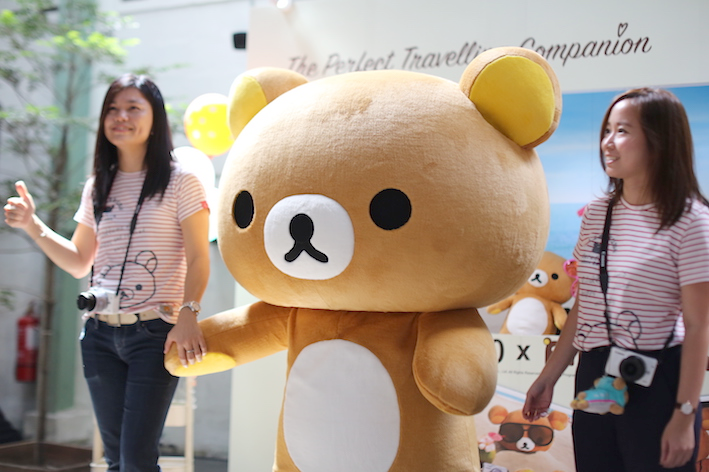 Wah, so you're going to bring Rilakkuma to South Korea! 😆 And me too, wonder what the last theme is.